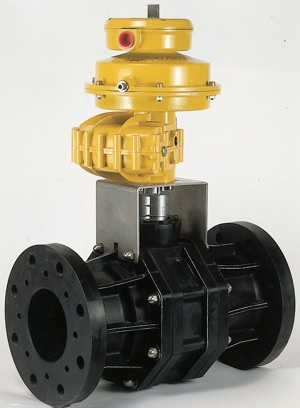 Thermoplastic valves are becoming the material of choice for more and more chemical process applications. Benefits are numerous: affordable cost, ease of installation, superior chemical resistance, abrasion resistance, light weight, ability to meet high purity standards, and long life expectancy. The thermoplastics used for valves include Polyvinyl chloride (PVC), Acrylonitrile-Butadiene-Styrene (ABS), Glass Fibre Polypropylene (GRPP), Anti-Static Polypropylene (ASPP), and Polyvinylidene fluoride (PVDF). 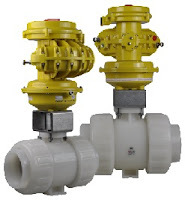 Plastic valves are proving themselves time and again in commercial and industrial applications such as wastewater treatment, water distribution, primary metals, food and pharmaceuticals, chemical processing, power generation, and oil refineries. For example, many chemicals used to treat drinking water and wastewater use plastic valves because they stand up to the caustic and aggressive chemicals such as sodium hypochlorite, sodium hydroxide, sodium bisulfite, hydrofluosilisic acid and potassium permanganate. In the high purity industries such as the semiconductor industry, fluoropolymer valves are required for aqueous chemicals, solvents and slurries. In these applications chemical contamination must be less than 100 parts per trillion (ppt) total contamination from the entire piping system (including valves, fittings, tubing, filters and instrumentation). Other ultra-pure application examples are microelectronics, medical devices and pharmaceutical production. Thermoplastic valves are sensitive to temperature changes and experience a higher degree of thermal expansion and contraction than their metal counterparts, but most agree the advantages far outweigh these concerns. 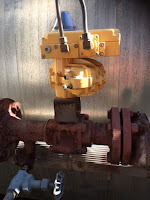 The key to actuating plastic valves is like any other valve system - understanding the operating requirements of system. 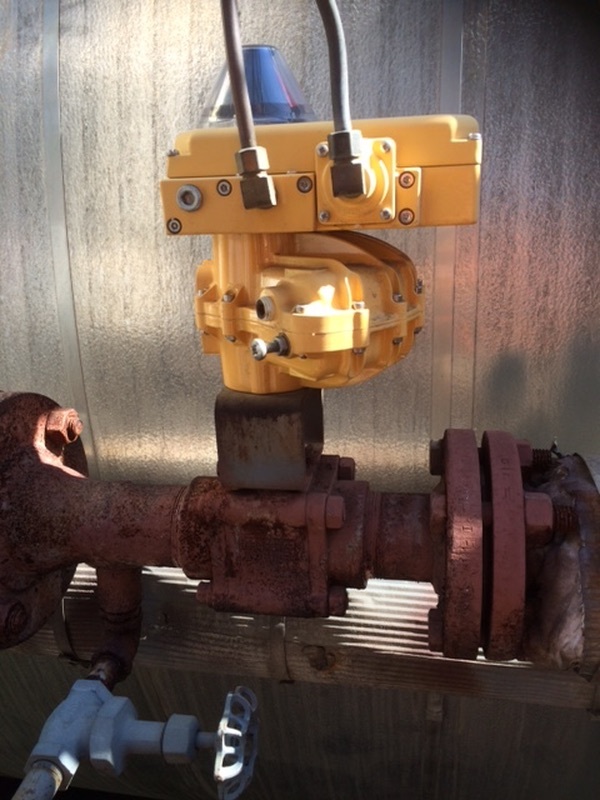 It's important to remember that since most plastic valves are used on corrosive media, there's a fair chance the actuator may be exposed to corrosives as well. Effects on the actuator housing, internal parts, and any springs have to be considered. In most cases the actuator will have to be specially coated or come with a corrosion-resistant epoxy finish. Kinetrol actuators fit the bill as they come standardly with an epoxy stove enamel finish and stainless steel internal and external hardware, and Kinetrol spring units are totally sealed from the atmosphere, protecting the spring element and assuring long life. Pneumatic conveying systems transfer powders, granules, and other dry bulk materials through an enclosed horizontal or vertical conveying line. 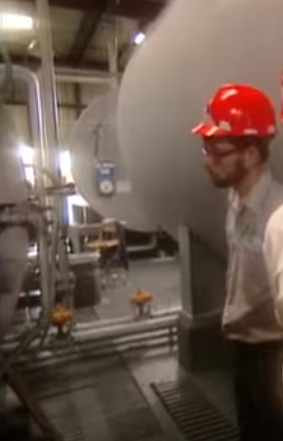 Pressure differential and air flow is the motive force in pneumatic conveying. 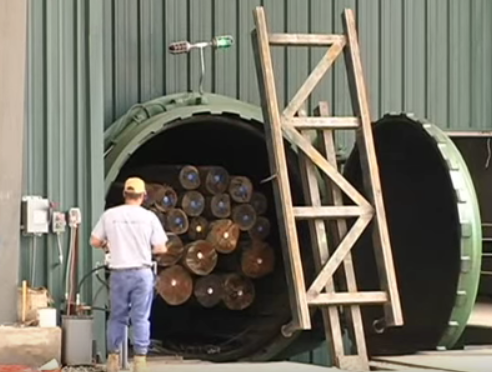 Through control of pressure or vacuum and the airflow inside the conveyor, the system can successfully move material. 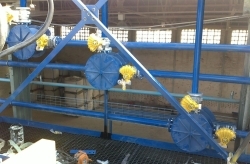 Pneumatic conveying systems are classified into two types by their operating principle: dense phase and dilute phase. The most common is dilute phase pressure conveying. Used for powders or granules, and most often with non-abrasive, non-fragile materials that have a light bulk density. Common examples are plastic granules, sugar, flour, corn starch, activated carbon, zinc oxide, hydrated lime, and sodium bicarbonate. Dilute phase vacuum conveying is for materials that compress under pressure, for toxic materials, and are conveyed over short distances at low capacities. Dense phase pressure conveying is best for conveying fragile or abrasive materials over long distances. Commonly handled materials include feldspar, fly ash, silica sand, alumina, sorbitol, dextrose, carbon black, resins, cocoa beans, nuts, and certain cereals. Dense phase pressure conveying moves materials at a relatively low speed to reduce materials degradation, air consumption, and wear and tear on mechanical systems. 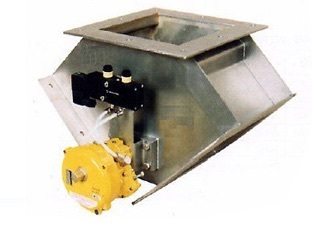 Diverters are used to direct the flow of conveyed material to branch lines. Because they are handling materials such as sand, gravel, whole grains, stone, cement, and coal, the diverter must be designed for handling very abrasive materials and for high cycles. Not only must the diverter be designed for this service, but the pneumatic actuator must also meet theses demanding requirements. 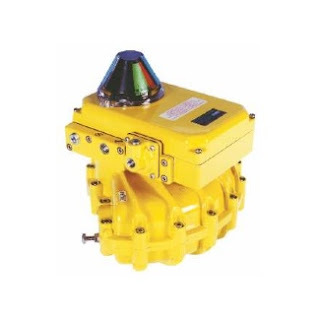 Kinetrol actuators have become the preferred quarter-turn pneumatic actuator for conveying diverters because of their dependability and ability to withstand tough operating environments. Kinetrol actuators are virtually immune to the high vibration, dusty atmospheres and provide years of maintenance free operation.